[center:pla7qwwt]Back in 1955, a top secret government nuclear development facility, entitled the Nuclear Engine for Rocket Vehicle Application, or NERVA, began on a project entitled Project Rover. In project Rover, a variety of tests were conducted to scale down the size of a nuclear reactor drastically for enhanced applications to modern vehicles. Operation continued up until 1961, when a an unexpected break-through occurred in Project Rover, they continue with the project by developing a new form of nuclear power rockets that would transport the human race through-out the solar system. The new staging area for NERVA and Project Rover was carefully chosen. It would be situated in Area 25, located only a slight distance way from Area 51 within the Nevada Test Site. Local scientists would re-name the area Jackass Flats. Under President Kennedy's watchful eyes, NERVA was given a special task: create a spacecraft capable of reaching Mars by 1978, and to develop and carry out a plan to construct a permanent moon base by 1981. 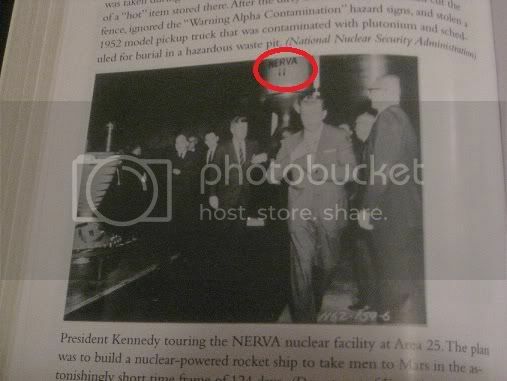 There is documented proof, and several authenticated pictures of JFK touring the NERVA facility. 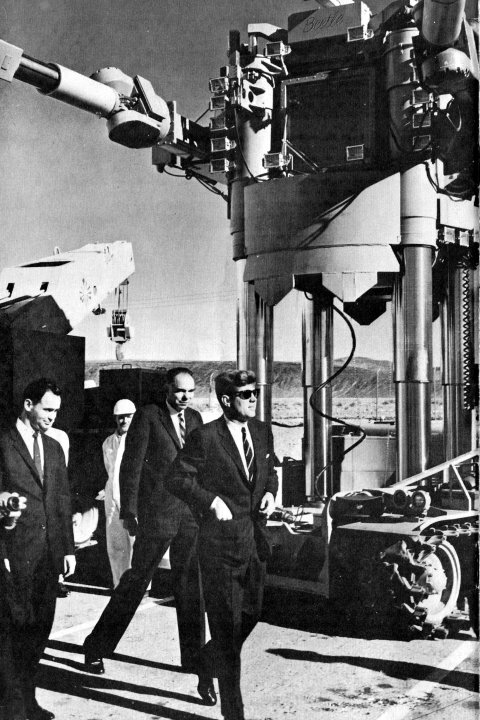 Take note of the symbol on the rocket behind President Kennedy. It matches the symbol on the rocket above. All whispers of a lunar facility died with JFK, and the newly developed Saturn series of rockets took center stage in America's arsenal in the Cold War as the main method of transportation to the moon. Despite the massive potential behind NERVA's manned missions to Mars, a task that with NERVA's newly developed engine would take only 124 days, NERVA faded out of existence. Officially, the United States felt that the task of reaching Mars would only prolong the Cold War and propel our nation even closer to an unwanted nuclear end. While NERVA was never officially disbanded, the former Atomic Energy Commission, now the Department of Energy, claims that NERVA never even got off the ground, much less show the great promise that John F. Kennedy had seen in it. All these years later though, NERVA left us one parting gift. The list of planned Mars missions up until the end of the 20th century has a ledger of materials needed by NASA for these projects. Several of NASA's planned mission requested the use of NERVA's nuclear rocket specifically. Why would NASA request a rocket that had never even officially gotten off the ground? Where did NERVA go? Did tests continue in the secluded Jackass flats? Did NERVA actually achieve their goal of forming the lunar facility they had always dreamed of? Only time will give us the answers we search for. I moved it here so you can have easy access Faust. AH! I made a post good enough for it to be an sticky! I can't thank you enough! How does this fit in with Moon though? are you thinking that they got to the moon with the NERVA? 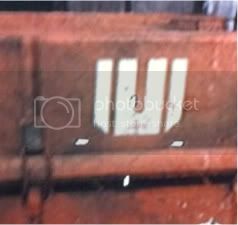 It is the U shape seen multiple times located on objects, zombies and space suits in the trailer. Which suggest their technology made it to the moon, but to only discover 115 there? I'll do some research to see if we can connect the rest of the symbols to NERVA. It's kind of funny that everything is starting to shift towards the Nuclear Programs being involved with zombies isn't it? 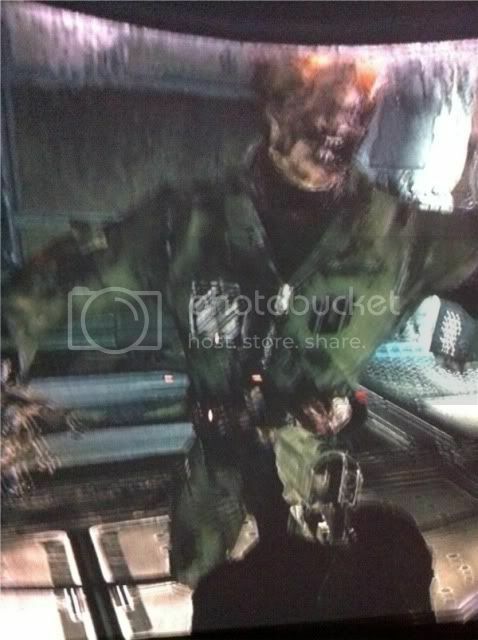 Perhaps they are trying to develop a nuke similar to what the zombies drop, only for it to work on everything ever infected with 115 and NOVA compound? Our heroes must have also gone to the NERVA facility or it got moved to Area 51? Most likely yes, and in real life. The government has all sorts of crazy weapons we don't even know about, they just "announced" that they lost contact with one of their space planes. Which now sets up staging for dropping DU Sabo rounds from space. Computer processing power DOUBLES every year. However, we are still using rockets that Von Brauhn drew for Hitler in the 1930's! There's a whole secret space program. The symbol behind JFK is just a blurrier version of the NERVA logo on the apparatus shown in the first pic. 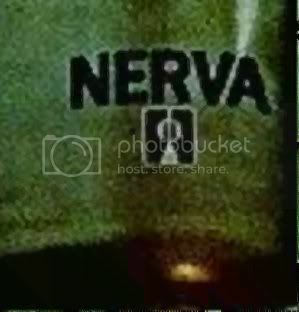 I looked into NERVA, while it is interesting the logos are not the same (or even that close). I am finding a lack of good pics, so I took some myself. 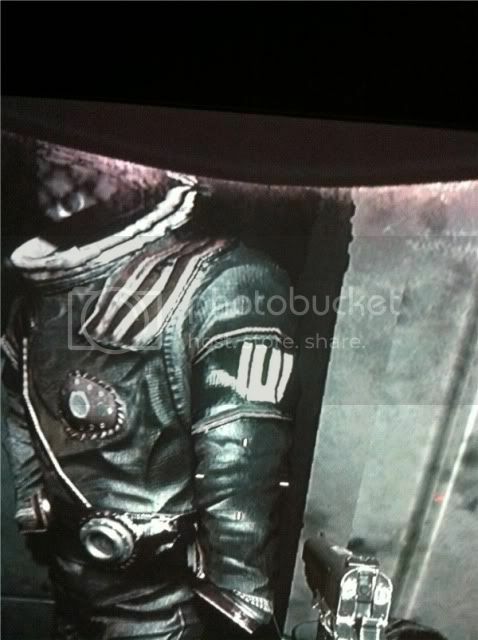 They are very different logos, the Moon zombies are not part of Project Nova. 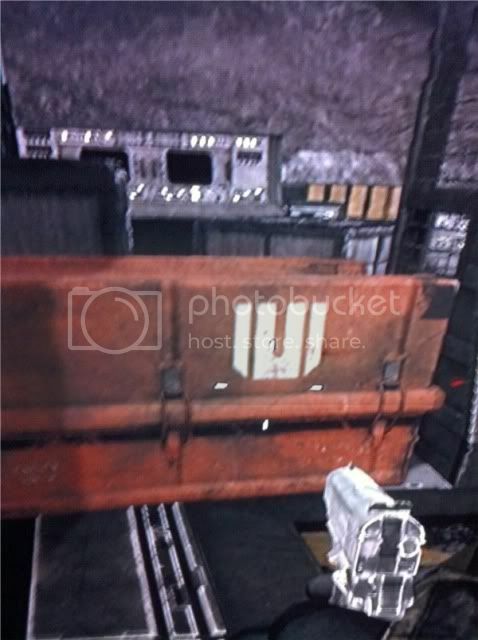 Since the logo is found on the PES as well as other things lying around, I believe it is simply the logo Richtofen adopted for use with Griffin Station. I see no evidence of the Americans actually reaching Griffin Station. I realized this shortly after the release of Moon, but figured I would keep the thread around if only to present a little know part of history. 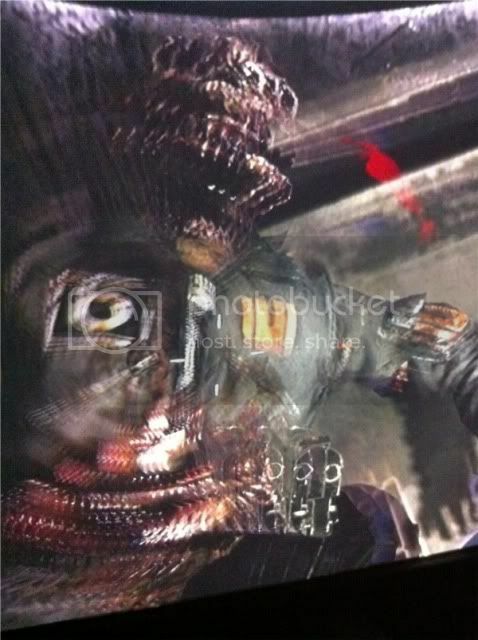 Still, thank you for taking those pictures to clarify. it was only in response to the others posting in this thread (and elsewhere) making the connection. I believe that project NERVA could be of significance to the story, just not this in particular. who's name is at the top of the rocket? I have a question, couldn't they have built a moon base, ( in game history), as a stepping stone for mars? perhaps these rockets were powered by 115 and Griffin station was a refueling point. It would explain the rockets sitting outside the receiving port. Could this not be where moon takes place? It is possible, but we now know that Griffin Station was constructed mainly for research on the MPD.